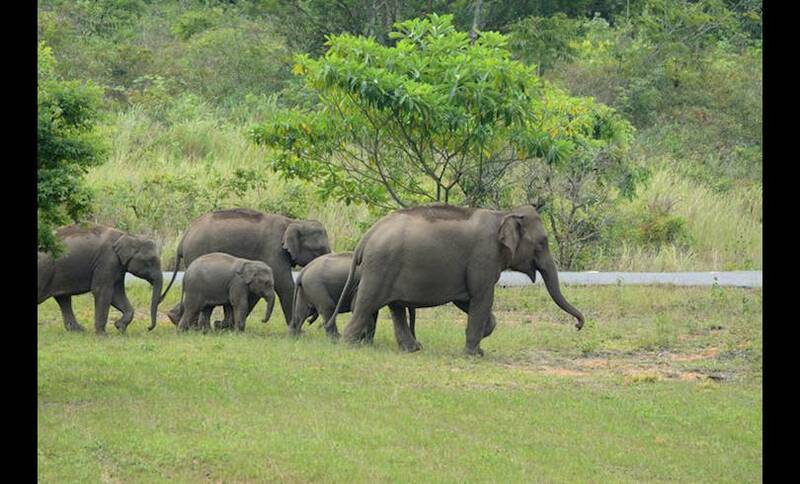 Thailand's first national park, Khao Yai, stretches across four provinces and his home to at least 3,000 species of plant and 200 wild elephants. 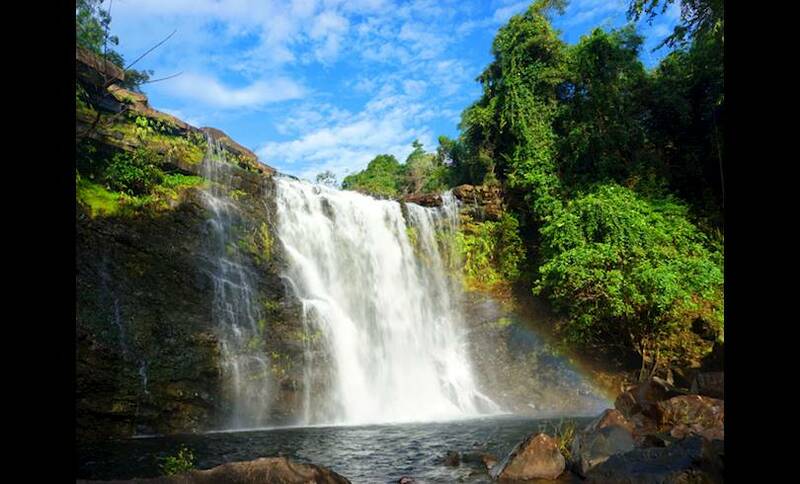 Only three hours' from Bangkok, the park covers an area over 2,100 square kilometres in the Phanom Dong Rak mountain range, which stretches over the provinces of Nakhon Ratchasima, Nakhon Nayok, Saraburi, and Prachin Buri. It was declared a national park in 1962 and has since become a UNESCO World Heritage Site. 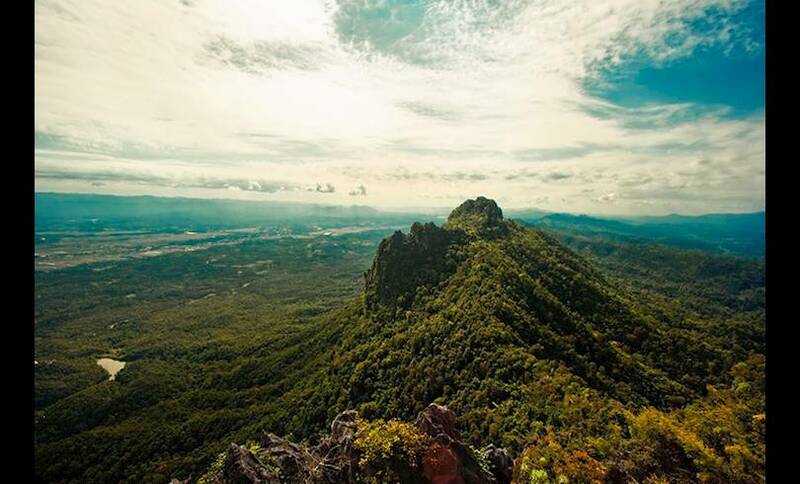 Comprised of lush forest, rainforest and mountains with peaks ranging from 800 to 3,000 metres above sea level, Khao Yai maintains a cool climate all year round. The park is very popular with nature lovers, trekkers and twitchers. There are numerous butterflies and birds; surveys indicate that over 290 species of birds use Khao Yai as a feeding ground and over 200 species call the park home. The park is home to an abundance of wildlife too: the most frequently spotted animal is the deer that grazes on grass plains and sometimes come to feed around the park office. Other animals spotted include sun bears, wild boars, monkeys, tigers, gaurs, and mountain goats. To facilitate wildlife watching, the park built two wildlife watchtowers at Mo Singto and Nong Phak Chi. Visitors can access the towers between 8am and 6pm; there is a reasonable admission fee for this. Lodge houses range from 1,200 baht (around £25). Youth Camps range from 10 to 20 baht (50p). Camping prices from 5 baht (10p) with your own tent. Our Spin This is Thailand's first National Park and one not to be missed. We recommend talking to the friendly park rangers for advice if you’re feeling adventurous or book a guided tour for that extra piece of mind and live commentary on treks. With so much natural beauty and an abundance of wildlife it’s a photographer’s dream.